This scholarship supports the team's Graduate Assistant, who for all intents and purposes, acts as a second Assistant Coach. The Graduate Assistant currently receives a stipend of $15,000/year and with that is expected to pay for tuition, room and board, books and living expenses. This position is integral to the success of the team - they work side by side with the coaching staff, spending many office hours analyzing player performance, traveling with the team and attending every practice - all in addition to being a graduate student. “Having the opportunity to play for this outstanding program as well as transition into the role of a coach has been an incredible experience. Our program is rooted in rich tradition and prides itself on being a family. Our family would not have the successes that we do each season without our incredible donors and supporters. As a player I caught a glimpse of what our donors provide for us, as a coach I have seen the generosity of others transform the lives of our players. Through your support we are consistently utilizing resources to continue the rich tradition of our program, while also pushing ourselves to be the best we can be as coaches, students, athletes and prideful members of the WWU community.” Sydney Donaldson, Graduate Assistant Coach 2015, 16 & 17. The Miller family has issued this challenge as a way to provide sustainable, additional resources so our Grad Assistants so they can continue to support the team and help us compete at the highest level! 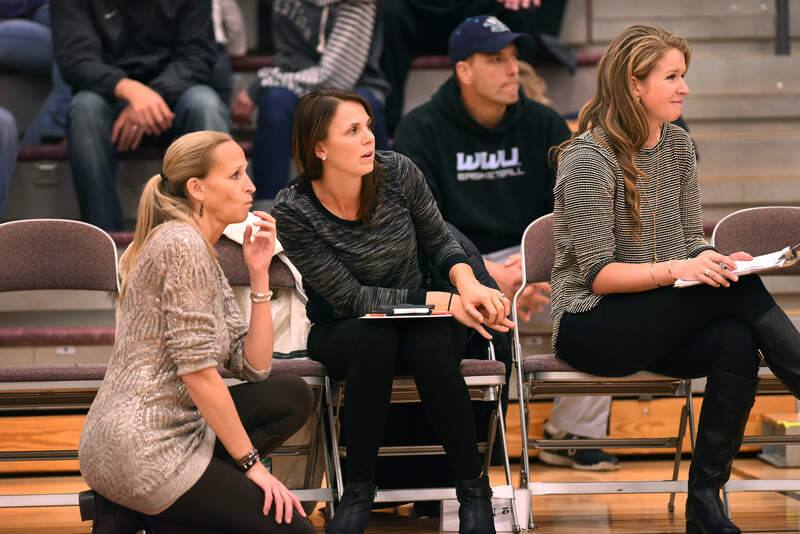 *Head Coach Carmen Dolfo working alongside Assistant Coach Stacey Turrell & Graduate Assistant Coach. Thank you for your support at the "Bank Shot" level! Thank you for your support at the "Nothing but Net" level - it is very much appreciated! Thank you for your support at the MVP level - your generosity is admirable! Thank you for your support at the Coaches Circle level! Your President's Society level gift to this scholarship will go a long way to allowing the team the support it needs in 2 assistant coaches!